“On, January 12, 2010, Haiti was devastated by a large earthquake, with the epicenter being 16 miles west of the capital city of Port-au-Prince. 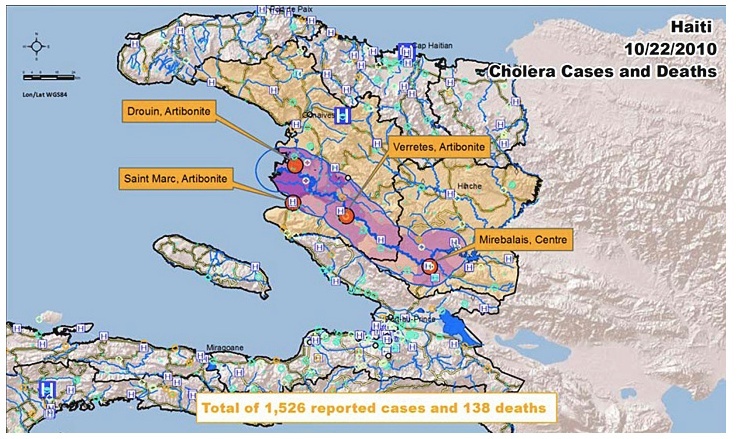 Ten months later, cholera cases and deaths began to appear in the rural Artibonite Department, about 62 miles north of Port-au-Prince (1). The disease had not been present in Haiti for at least half a century, so the emergence of a cholera epidemic was a surprising development. I’m getting obsessed with epidemiology now, I guess it’s the mix of hard science and detective story. 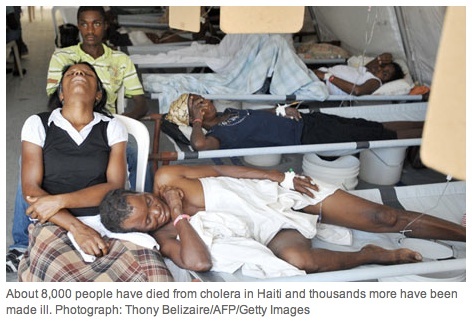 I only found out the story behind the horrible Haiti cholera outbreak recently, the article above gives a good summation. I understand the UN’s stance but I totally disagree with it. They’re trying to protect themselves from any other current or future similar claims, where their actions inadvertently caused more harm than good. That’s probably what their lawyers advised them to do. But this totally runs against the spirit of the UN, all it’s meant to stand for and it brings shame upon the whole organisation to so cavalierly dismiss the suffering they caused. If they at least admitted their culpability and then started to find ways to compensate Haiti through aid programmes, that would be something but to deny even that crumb seems monstrous. Tragedy upon tragedy for the Haitians.